The world is moving faster everyday. People demand information instantaneously. Since the introduction of the smart phones and tablets, more and more people are using their mobiles and tablet devices to surf the web for relevant information and services. Be aware of your own habits. Are you using your phone or tablet more and more to search for products and services? Statistics say that mobile phone usage will overtake desktop usage in 2014. In 2011, there was a whopping 487.7 million mobile phone units sold compared to PC/Desktop sales of only 414.6 million units sold. This was undoubtedly fueled by the Apple iPhone revolution. 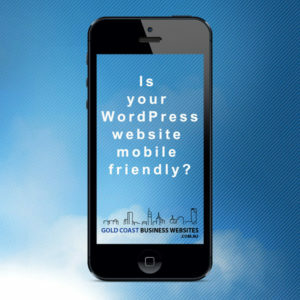 Do you have a website that is responsive? Meaning does it change or adapt to the size of the device that it is being viewed on, or do you have to have super human eyes or need to pinch to zoom? If you answered no to those questions, then you might be missing out on the successful conversions that your website could be making for you. If you are looking to change your existing website, whether it is built with WordPress or other, give us a call and we can discuss options on creating a mobile friendly website for your business.